In 1955, Otis T. Carr, a protégé of Nikola Tesla began a highly visible public effort to develop a civilian spacecraft, a prototype that could be mass produced in the form of kits to assemble, and sold to the public. If successful, Carr would have developed the first civilian spacecraft in the world and have revolutionized the aviation industry. The vehicle must be powered by an electric generator drawing electrical energy from the environment, and have produced an anti-gravity effect for propulsion. Carr said he was taught everything he knew about the principles of electromagnetic energy and anti-gravity by the famous Yugoslav inventor Nikola Tesla. He had resided in a New York hotel where Carr worked part-time while pursuing his studies. The flying car Tesla is powered by electrical energy consumed from the earth’s atmosphere and stored in special coils. Frustrated by the lack of industry support, Tesla revealed his radical ideas to the young Carr over a period of three years. Tesla taught Carr, how electromagnetic energy can be freely operated from the abundant electrical energy in the atmosphere. The possibility that electrical energy can be freely acquired without the need for expensive power plants, son drivers, relay stations, telephone poles and the significant loss of power, which challenged the conventional utilities. Tesla said that his radical ideas would not be funded from JP Morgan and other industries would not be able to assay the free electrical energy that could be easily pulled from the atmosphere. In fact, Tesla’s ideas have challenged the foundations of the global economy and the monetary system … so the New World Order. Inspired by the aging Tesla, Carr began to test the principles of Tesla in 1937 when he began to create spacecraft on its model. Carr finally became convinced that he could develop a civilian ship that could travel in the upper atmosphere, and travel up to the moon and even reach the speed of light. All this could be achieved by following the advice of Tesla are tapping into electrical energy in the atmosphere to power the spacecraft, storing this energy in a « coil regenerative » special for interplanetary flights. Carr founded a company, OTC Enterprises Inc in 1955 in Maryland, and began to raise funds and find qualified personnel for the construction of its models. These could be tested to validate a large-scale prototype. These models vary in size and included a version of six feet to be tested to prove the feasibility of their ideas for a prototype spaceship 45 foot wingspan, provided cemoment there. In November 1959, Carr has successfully patented his design of a civilian spacecraft scale he called OTC-X1. He had a circular design that made him look like a flying saucer. To obtain a patent for his design of a European Patent Office skeptical, he said that the OTC-X1 was an entertainment device. The Utrons provide a series of rotating magnets against energy they need to overcome the gravitational field of the Earth. « We capacitor plates and electro-magnets in this system. Yet it is counter-rotating, the electromagnets turn in one direction with the battery, turn the battery in the other. Plates of capacitor run in conjunction with the battery so that we have a schedule and a timetable anti. Now the third system that keeps the cabin crew safety. Cockpit does not rotate because it is fixed that the two bodies are rotationally clockwise and counterclockwise. Therefore, the system causes the vehicle to escape the pull of gravity. The machine itself, because this system has always internal gravity because it still has the same weight he had in the beginning. Carr would design a new gravitational field inside the machine. This effectively creates an environment of zero mass inside the vehicle, it would mean that the normal laws of inertia do not would work. This environment massless allow the spacecraft to reach the speed of light. It should also allow occupants to withstand acceleration and huge changes in opposite directions without being sprayed with huge g-forces, inside the craft directions. Otis T. Carr, president of OTC OT Enterprises, Inc., detailing its claims in an interview and demonstration of a crude model of a machine with a circular movement which he said is the principle of « free energy circular » d a spacecraft that can build, if someone puts there money. Carr had planned to test his model of six feet in April 1959, before an audience of about 400 people in Oklahoma City. Technical difficulties and sudden illness contracted by Carr led to the cancellation of the event. All that was shown to the public were three dimensional illustrations of its design. Carr was found. Long John Nebel, a famous radio host in New York, saw Carr at Mercy Hospital, near where he had been admitted for eight days due to pulmonary hemorrhage. Mysteriously, Carr fell ill on the eve of what would have been a major publicity coup for him. The proposed spacecraft Carr was increasingly shrouded in mystery and controversy, from there. Many people have publicly criticized that Carr had planned to promote his OTC-X1 to create interest in the project carousel park Frontier City in Oklahoma City. Gradually, it was then efforts and many plans to test its prototype in flight, before the eyes of Carr. No public reports exist for all subsequent tests. In January 1961, the Attorney General of New York, Louis J. Lefkowitz, according to Carr had swindled $ 50,000. He was charged with « the crime of selling securities without registering the same. » Carr was sentenced to a term of imprisonment of 14 years. Meanwhile, True Magazine labeled Carr a mystifying and effectively ending all public sympathy left for him. After serving part of his mandate, Carr was released from prison, and disappeared from the public eye. Suffering from poor health and cut supporters, he lived in the dark. He died in Gardnerville, Nevada, in 2005. Apparently, the development of a bold industry civilian spacecraft had shamefully failed. Its pioneer, protected the great Nikola Tesla, was publicly disgraced as criminal elements who apparently faked the public with wild tales of building civilian spacecraft while in fact promoting an amusement park amusement. The real story of what happened with Carr and his effort to develop an industry of vital spacecraft remain secret for almost 50 years. It’s only public appearance of one of the technicians Carr confidence that the truth would eventually be told what had happened with the first effort of the civilian spacecraft in the world. In March 2006, a largely unknown individual came to reveal that he was one of three drivers of successful testing of the prototype scale Carr’s OTC-XI . Ralph alerted a technician who was recruited into the team Carr trying to build a 45 foot prototype vessel after Carr had moved to California in 1959. Ring at the time was a talented inventor who had grown frustrated with the lack of interest of the business sector in the innovative principles of electromagnetic energy. He had previously helped the French oceanographer Jacques-Yves Cousteau developed the famous scuba, and then worked in a research organization funded by the Government called Kinetics. In a series of interviews and public presentations, Ring described the initial conditions Advanced Kinetics. He claims to have solved two complex engineering problems involving electromagnetism. Confident of a job promotion, Ring was instead told by the manager that they were government funded organization and « we are paid to look for answers, but not to find them! »  In frustration, ring left and Carr met at the end of 1959 and was quickly impressed by his ideas, including a plan to build a civilian spacecraft. More importantly, the ring demands that the foot 45 OTC-XI prototype developed by Carr was completed and successfully tested back in 1959. Ring said he was one of three drivers on the machine that flew 10 miles instantly. Ring described how Carr was able to maintain communications with the team of three men driving the OTC-X1 who were asked to complete a series of tasks before returning to the launch site. The most remarkable part of the testimony of the ring for unique navigation system used by pilots to control the movements of the OTC-XI. According to Ring, the navigation system used for conscious drivers rather than conventional technology. The Utron was the key to everything. Carr said it accumulated energy because of its shape, and worn, and also responded to our conscious intentions. When we operated the machine, we have not worked out of control. We went into a kind of meditative state and all three of us focus our intentions on the effect we wanted to achieve. It sounds ridiculous, I know. Successful first test of full scale OTC-XI meant that planning flights in outer space and the moon was now over for good. Ring said that Carr and his crew worked tirelessly to complete the test program before announcing the results to the public. Indeed, the successful testing of Carr civilian spacecraft, he was allowed to go ahead, have revolutionized the energy industry and the aerospace industry. Industry conventional energy using fossil fuels to produce electricity and the aviation industry would become redundant overnight. Interests of U.S. companies in the energy sector have lost their substantial investment. Lack of corporate profits would throw countless jobs number in the thousands. The financial impact of the industry civilian spacecraft using electrical energy from the atmosphere for power would indeed put enormous pressure on the U.S. monetary system may cause its collapse. In a series of interviews and public presentations, Ring claims FBI agents confiscated all the equipment, including the prototype OTC-XI. They debriefing all employees Carr warned them to keep quiet about what had happened, and made to sign non-disclosure agreements Carr. The testimony of Ring, if it is true, reveals what happened dramatically with the draft Civil spacecraft Otis Carr d. Rather than seeing the project Carr as a fraud who deceived a number of investors to finance his new ideas for the park, the project Carr had been a success. Its success directly threaten entrenched interests in the energy sector, which is why its operation was stopped with the full approval and knowledge of a number of government agencies concerned with the financial impact on the U.S. monetary system. Carr himself had to endure false accusations to discredit him and end his bold attempt to develop an industry vital spacecraft. How credible was the testimony of Ralph Ring? This is something that I can personally verify that since I am able to hear Ring present his ideas to International UFO Congress in 2007 and I was able to speak with him personally. I agree with Ryan Cassidy and the personal qualities of the Ring make it very credible. It seems to be motivated by the simple desire to tell the truth about the events that occurred there nearly 50 years and have revolutionized life on the planet. Ring has provided a number of photographs of the OTC-XI developed by Carr. These photographs have not been published previously. The photos show that Carr had indeed managed to build a number of models, including a machine 45 feet (see photo below) prototype. Photos dispel the idea that Carr had failed to develop a spacecraft large-scale prototype. Photos of Ring are physical evidence that he actually worked with Carr on the OTC-X1, as he claims. In his presentation at the International Congress « UFO 2007 » Ring described how he was taken by ambulance to a hospital 25 miles away, without going through an adjacent hospital where he was. Ring passed dangerously close to death as a result of « abuse » and the long ambulance ride. The « accidental » application of the medication to another patient, and the « circumvention » of nearest hospitals would they part of a secret assassination attempt on the life of Ring? The circumstances are suspicious and certainly do not indicate a serious effort to silence Ring. This series of events « accidental » that almost took the life of Ring shortly after his public appearance provides circumstantial evidence to support his claims. We can now bring together the various elements on the OTC-XI Otis Carr project and the testimony of Ralph Ring. Development managed by Carr, a fully operational civilian spacecraft using radical electromagnetic propulsion and navigation systems has led to a backlash from the U.S. federal government agencies. Agents sent by the FBI raided the plant construction Carr, equipment confiscated, employees intimidépour they were silent, and they publicly discredited Carr through false accusations orchestrated by the « American stock exchange « and the Securities Commission. 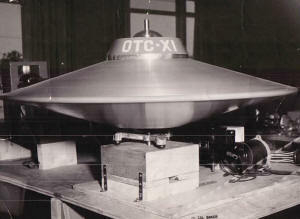 The public testimony Ring and photographic evidence he provided of the existence of the OTC-X1 Carr suggests that elements within the U.S. government suppressed an industry full of Civil spacecraft. Several reasons for this deletion appear now in the open. The first and main reason for withdrawal by the government was to protect the interests of American capitalist industrial sector energy that would have been threatened by the knowledge of how to draw free electricity from the atmosphere. U.S. companies dominate the energy sector around the world, and the emergence of technologies taking « free energy » could wreak havoc on their market value. This would have a negative impact on the overall U.S. economy. A second related reason for this suppression is the impact of free energy « technologies » of the U.S. monetary system -. Explanation given by FBI agents to raid the plant Carr Developing energy technologies Free render unnecessary the conventional energy sector held by U.S. companies eventually leading to a collapse of the U.S. dollar. A fourth reason to delete the project OTC-XI Carr was to keep secret technology already under development projects classified. Carr’s work was not considered important enough to be classified so that he and his technicians were able to continue to work on developing his ideas of a spaceship that could go to the moon at the speed of light . His project has been closed, Carr discredited and intimidated in order to silence technicians. There is an obvious explanation for this response by government authorities. The reason for this treatment was given to Carr and technicians was that the government did not need Carr ideas on how to develop a spacecraft capable of speed of light, which could tap into the power available in the atmosphere of the Earth. Government authorities do not have either the need for unique navigation system developed by Carr’s OTC-XI interface that uses new technology, creating a link between pilot and spacecraft. This is not because government authorities were not interested in these ideas. 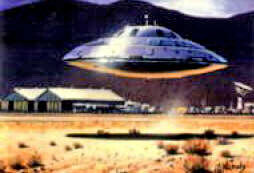 More likely, the authorities already had a classified for an anti-gravity capable of near light speed and powered by electrical energy from the natural craft project. The principles of space flight to the « speed of light were probably so well known (by the U.S. military) and civilian efforts inventors have simply not necessary in civil projects using antigravity. The conclusion is that in the 1950s, the U.S. government has had a number of operational spacecraft that were able to reach a speed close to the light, and could draw electrical energy from the atmosphere Earth and could be stored for space travel. 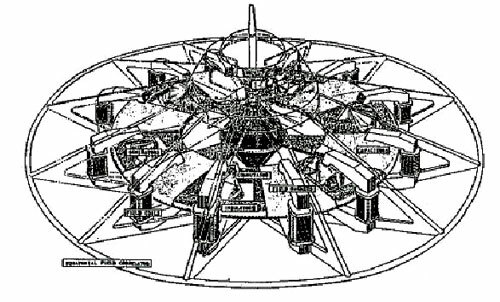 A last possible reason for the closure of the program spacecraft Carr is an exclusive group of quasi-governmental or « shadow government » with close ties to secret societies, would not go to the regular military forces and / or governmental authorities of the existence of such a technological breakthrough. The program stop civilian spacecraft Carr deny regular military and government officials of knowledge and access to this technology. That would put the regular army to the great disadvantage to monitor what is happening in the deep black projects involving advanced technology controlled by government agencies in the shade outside the regular chain of command. Discredit, while silencing or terminate the action of inventors and / or whistleblowers continues now with what we saw against Manning and Snowden in 2013. In 1959/1960, Otis Carr and his team had succeeded in developing the first civilian satellite in the world. This remarkable achievement was brutally suppressed, and Carr was jailed on false charges in 1961. The collusion of certain elements of the U.S. government by removing the emergence of an industry of civil spacecraft appears as an essential historical fact. U.S. companies in the energy sector, aware of the ambitious Carr, was probably a key factor in this suppression. The implications of the testimony of witnesses and achievements Carr are memorable for humanity. Rather than a criminal who fooled the public with radical ideas civilian spacecraft, Carr was a heroic inventor who succeeded despite enormous difficulties in the construction of the first civilian spacecraft in the world. Carr and his team of collaborators should be recognized and honored for their pioneering efforts. Congressional investigators should be immediately launched to full light on what happened to Carr. The FBI and other government agencies involved in the raids facilities Carr and confiscated equipment, must reveal what happened. The precise role of U.S. corporations complicit in these enforcement actions should also be scrutinized. Appropriate legislation should be developed to prevent future instances of pioneering inventors who are targeted by government agencies acting at the behest of interest groups. The technological revolution that will come to a thorough investigation on the achievements of Carr should be adopted rather than hidden in the general public. Government agencies and secret societies operating in the shadows, are responsible for the removal of the public emergence of this technology, even to the point of denying regular military forces, must be identified and held accountable. Mankind is on the threshold of a remarkable achievement, the development of an industry of inexpensive civilian spacecraft that can afford to take trips to the planets of our solar system and beyond starsThese acquired financial interests to fossil fuels, the forces of neoliberalism and para-governmental groups such as corporations related to space technology can no longer be allowed to keep secret, this remarkable achievement.